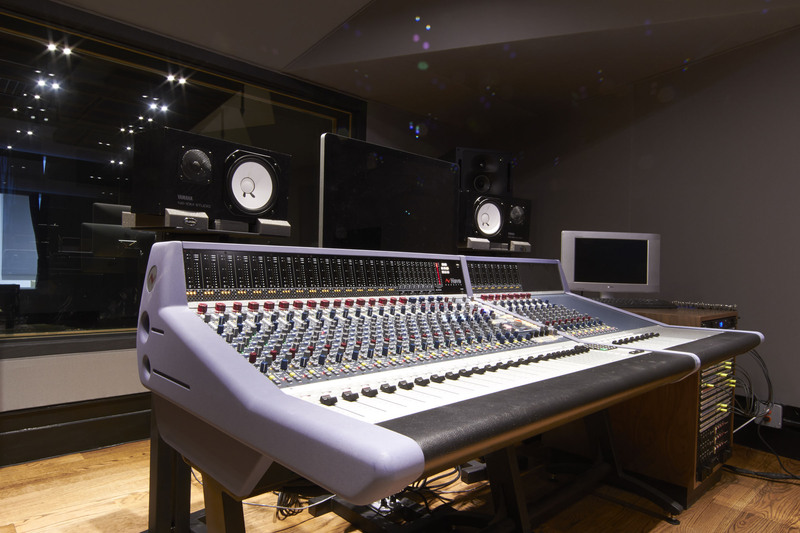 The console and engineer control center for New York City’s new Conclave Studios, with a gear setup designed by Malvicino Design Group and outfitted by GC Pro. Photo courtesy of Malvicino Design Group. © 2014. The tracking room at New York City’s new Conclave Studios, with a gear setup designed by Malvicino Design Group and outfitted by GC Pro. Photo courtesy of Malvicino Design Group. © 2014. WESTLAKE VILLAGE, CA, July 22, 2014 — New York City has lots of recording studios — the Williamsburg district of Brooklyn alone reportedly has 60 or more. But Mitch Cox hadn’t found one that catered to heavy metal and hard rock the way the aspiring record producer and entrepreneur wanted to, so he set out to build one. 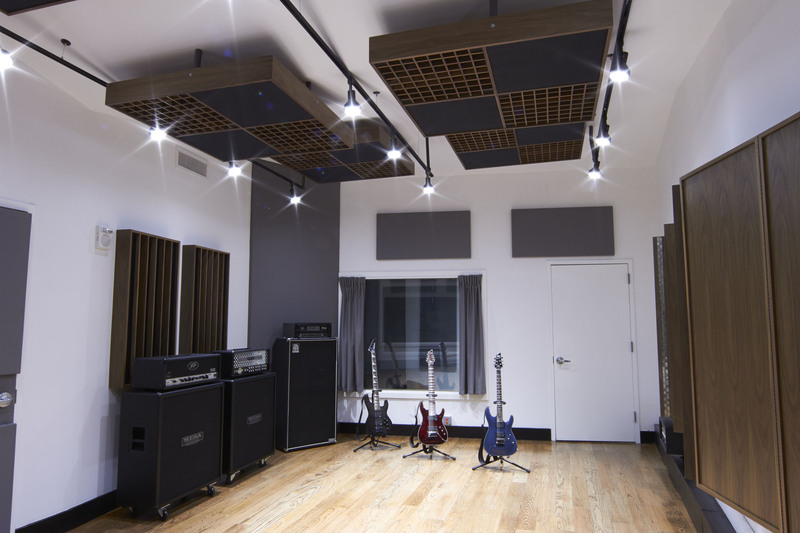 “When you’re designing a studio for maximum flexibility, to try to please everyone, you make design and equipment choices based on that, and those are inevitably compromises,” says Cox, “In this studio [Conclave Studios], we made design and equipment choices around the classic metal sounds.” Assisting Cox in his vision has been Guitar Center Professional (GC Pro), the outside sales division of Guitar Center that focuses on the needs of professional users. Conclave Studios came about around a meeting between Cox and Milo Pullman, a GC Pro Account Manager working out of Guitar Center’s Union Square store location. After listening to Cox’s vision for his studio and his business, Pullman suggested a meeting with Horacio Malvicino, a noted recording studio designer and a GC Pro Affiliate Program member. Within a matter of weeks, what had been Cox’s vision suddenly had a team to build it. After several months of searching, they found a former recording studio on the far edge of Manhattan’s Chelsea neighborhood, in a massive, glass-walled building overlooking the Hudson River. As Malvicino worked on the studio’s design, he also consulted with Cox, Lagudi and Pullman on what technologies to include in the studio. While there’s gear in there that any recording pro would appreciate – including Focusrite and Midas mic preamps, dbx and Empirical Labs compressors, and a microphone closet filled with names like Sennheiser, AKG, Neumann and Audio-Technica – there’s plenty of digital real estate, too, including an Avid Pro Tools HD Native system and plug-ins from Waves, Antares, Sonnox and Metric-Halo. And although they looked at vintage consoles, the team decided on something more modern for the 23x18-foot control room: a 24-channel Neve Genesys desk with 1073 pre-amps, 1084 EQs and Encore automation with Total Recall. Monitoring is handled by two Genelec 1037C Tri-amplified Monitors for mains and Yamaha NS10's for nearfields. Photo Caption 1: The console and engineer control center for New York City’s new Conclave Studios, with a gear setup designed by Malvicino Design Group and outfitted by GC Pro. Photo courtesy of Malvicino Design Group. © 2014. Photo Caption 2: The tracking room at New York City’s new Conclave Studios, with a gear setup designed by Malvicino Design Group and outfitted by GC Pro. Photo courtesy of Malvicino Design Group. © 2014.